The right type of air conditioner for your home depends on the size of the space you are trying to cool and the climate in which you live. Here at Comfort Services, Inc., we specialize in installing and repairing many different types of cooling systems. If you are looking to replace your old, sluggish system with new, energy-efficient air conditioning equipment, our certified technicians can suggest the system that is most suitable for your home. If your current AC system is in need of repair, we can help with that too! 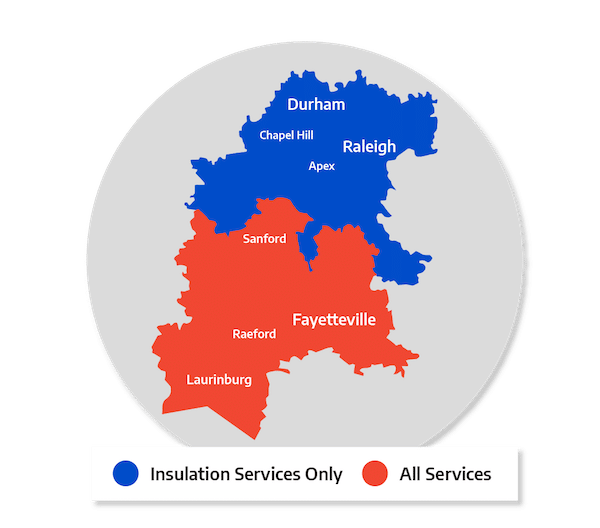 Comfort Services, Inc. provides free air conditioning estimates in Southern Pines, Aberdeen, Pinehurst and nearby North Carolina. Contact us today! Great gains in comfort and energy savings are possible when you replace an old central AC system with a new, high-efficiency unit. For example, a 10-year old AC system may only be operating at under 10 SEER, while new units are available that operate above 20 SEER. When AC maintenance and repair isn’t providing the comfort or savings you want, it’s time to consider upgrading to new equipment. Comfort Services, Inc. will also help you evaluate building envelope improvements that help to reduce your AC requirements. As Central NC's trusted HVAC contractor, Comfort Services, Inc. has the expertise to install and repair all types of air conditioning systems. Contact us by calling 1-855-800-2275 or get an online quote for AC repair or air conditioning installation in Aberdeen, Pinehurst, Southern Pines, Apex, Garner, Chapel Hill, Fayetteville, Durham, Fuquay Varina, Fort Bragg and surrounding towns and cities.